Valentine’s Day is about love—love of friends, family members, and even pets! But where does love actually come from? It all starts with a God. When we celebrate Valentine’s Day, we should put God’s love at the top of the list, because without his love for us, we wouldn’t have any love for others. Our Valentine Printables are great 5-10 minute time fillers that remind Christian children about what’s really important on Valentine’s Day. These will help children learn more about the greatest love of all—God’s love for us--just by having fun! 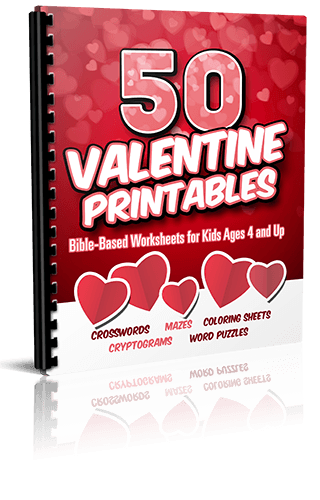 Themes like God’s Bible Valentines to His People, Worshipful Verses that Describe God’s Love, and How do We Love Each Other will give kids a better idea of the best love we could celebrate on Valentine’s Day. 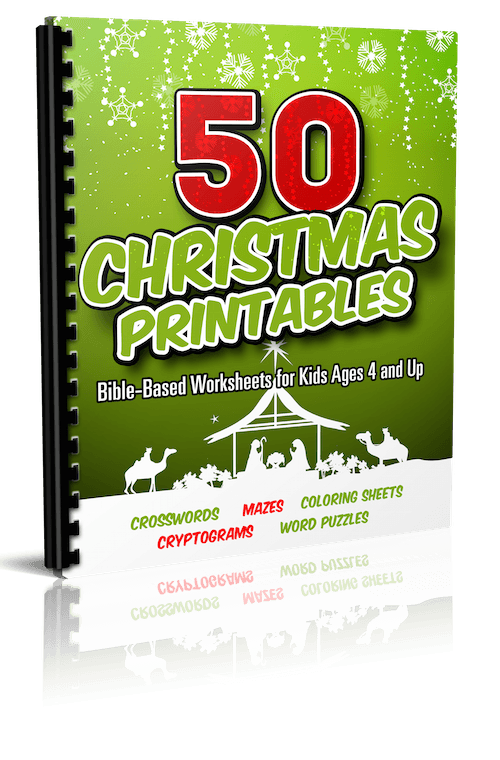 Wrapped in word searches, crosswords, cryptograms, and more, these activities will keep kids learning without them even realizing it. Concepts that help kids understand how big God’s love is. We’ve picked Bible passages that reveal God’s love, and we’re putting kids’ heads right into the middle of them! They will find comfort and peace, yet be blown away by the bigness of God’s love—all while having fun! Print off our mazes, coloring sheets, crosswords, & puzzles for your kids to distribute at their school and/or church Valentine Party! Want to go the extra mile? Print them on red or pink paper to make them extra festive. I’ve even had the big kids help fold the Printables into heart shapes to share them with their friends. Instead of a TV show, how about giving the m a stack of fun Valentine Printables? Every year I roll up a set of 5 Printables for each of my students and tie a bow around the package with a red ribbon and 3 crayons. I give them this little gift on the last Sunday School before Valentines. We are so sure that you will love the 50 Valentine Printables that we are offering an unconditional 100% money-back guarantee. 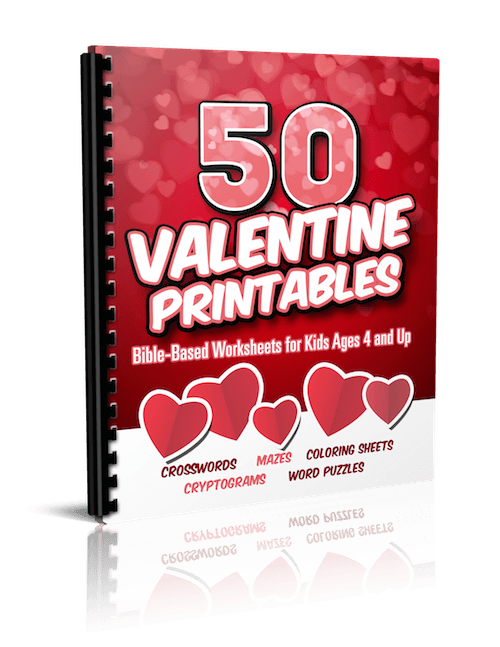 Plus, when you order '50 Valentine Printables' you can take advantage of the immediate download feature to get all the questions and materials in just minutes or even seconds from now … that means you could be using it in class on Sunday – even if you are ordering on Saturday night! YES, I want in! I want access to the "50 Valentine Printables". Please give me INSTANT access right now!